The age and location of an office building heavily influences the type and degree of pest issues. Older buildings in downtown Yangon are far more likely to have pests issues, than a newly completed office in Junction City. This is largely due to the old sewage system in downtown, which acts a highway for pests and is a perfect environment for them to thrive in. Similarly, older buildings are generally poorly maintained, having more cracks and crevices through which pests can easily enter the building or hide unseen. Other site specific issues, such as the presence of a staff food canteen, the nature of goods stored in the building and the size and layout of your offices are also very important. 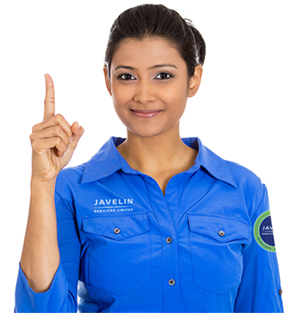 Regardless of your location or issues, Javelin Services can tailor a pest control programme suited to your environment and needs. If you are responsible for a network of premises, these can all be incorporated into a single service agreement with a dedicated account manager to coordinate service delivery across your offices. Every business relies heavily on technology and any electric, internet or computer downtime can be costly. Rodents often gnaw through wires and cables and can cause serious damage, leading to loss of power and even fires. Pests spread diseases mechanically, by leaving pathogens on desks and exposed surfaces, increasing the likelihood of illnesses, such as Salmonella or biologically in the case of the Aedes mosquito and malaria or Zika. The ultimate business cost is a destructive fire, which can be caused by rodents gnawing through cables. The office can be an inviting environment for many pests. Rats and mice use ceiling cavities and cables to freely move about undisturbed, gnawing on cables and stock, and creating nests in cardboard boxes. Mosquitoes often hide under desks and behind cupboards during the day, then come out at sunset to find a blood meal. This can irritate staff and have an impact on performance, especially if the Dengue or Zika virus is contracted. Cockroaches and ants in canteen areas and toilets are also an issue, attracted in by water availability and food scraps. Combined, these pests pose a threat to any business due to the potential risks of IT disruption, fire and disease. With an Integrated Pest Management approach, your Javelin service team will detect, assess, treat and monitor any pests for long-term protection. We use a range of tailored solutions, including hygiene and proofing advice, spraying, and gelling in the most targeted applications to avoid future pest problems. The application of anticoagulant rodenticides in secured bait boxes and/or snap-back traps and sticky boards along exterior walls and interior areas (ceiling cavities) to safely achieve rapid reduction in rat and mice numbers. We have a number of different solutions for mosquitoes including thermal fogging, larvaciding and ULV treatment. For inside areas, our pioneering natural repellent, Mossoff, discourages mosquitoes from entering inside and offers 24 hour protection for a whole month. After a detailed inspection, a combination of IRS (Internal Residual Spraying) and IGB (Insecticidal Gel Baiting) treatment would be administered to eliminate the infestation as quickly as possible. Post treatment, monitoring devices will be deployed to monitor activity to detect a re-infestation at as early a stage as possible. Termites can cause substantial damage to buildings and pose a very real threat to many buildings and structures in Myanmar. There are many other pests from snakes to fleas that can cause problems for your offices. For termite control, see our termite control page.